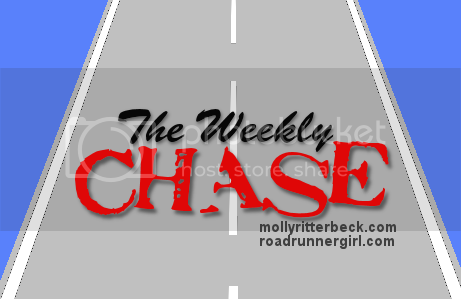 Road Runner Girl: The Weekly Chase #67! It's my Spring Break!!!! It started out great this weekend! Friday afternoon the boys played at the park while I walked 2 miles. Saturday I ran 6 miles and then me and the boys went with my friend Paige and her boys to the Gulf Coast Exploreum for their Easter Egg Hunt! It was quite an eventful day which some of you may have seen on Instagram! I'll be writing a post about it this week! 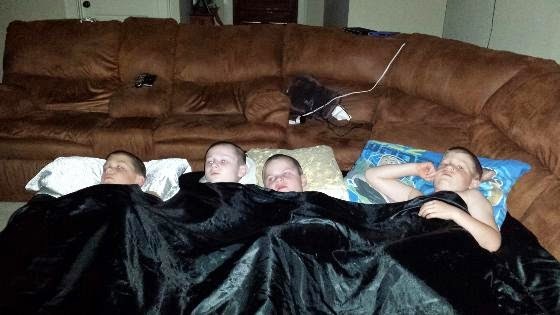 Saturday night my boys had their first official sleepover with Paige's boys! My house was so empty without them there! But they had a blast! 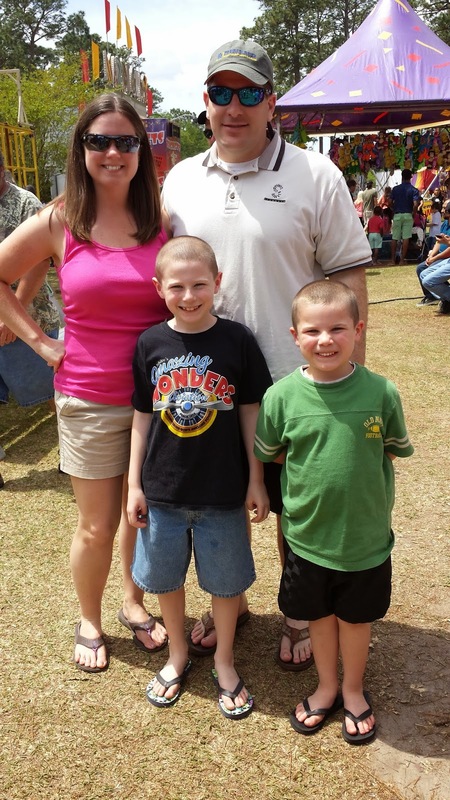 Then we spent the afternoon at the Strawberry Festival! The weather was amazing this weekend! It felt like spring and I even wore shorts and a tank top on Sunday! Goal #1: Run 3 times this week. Yes! I ran Monday, Wednesday, and Saturday of this week! I also got in three walks! Goal #3: Log and stay under all my calories this week. I did great with this every day but Friday. But Fridays I always go over a little because I carb up for my long run the next day. Goal #4: Shop for Easter goodies. Yes! I got all my shopping done for school. Now I just need to shop for my boys! Goal #5: Cook more meals at home this week. 50%. I didn't do as well with this as I'd hoped. We still ate out a few times. But I'm doing good about choosing healthier options when I go out. Goal #1: Run 3 times this week. I want to run two short runs and then Saturday I'm running the Crescent City Classic 10K with Paige! Goal #2: Roll and stretch daily. Ongoing goal! Goal #3: Log and stay under all my calories this week. This is going to be a little tougher this week since we are on spring break. When I'm at home I get bored and want to eat! Goal #4: Shop for Easter. Got to prepare for this awesome holiday! 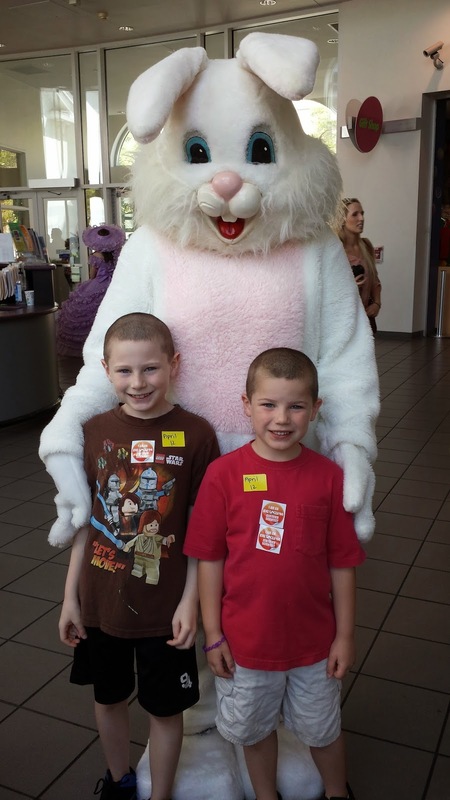 Goal #5: Make spring break fun for my boys! So far I think I've done good with this! We have plans this week to go see a movie with friends on the day it's supposed to rain. We are also going to the beach one day with friends too.